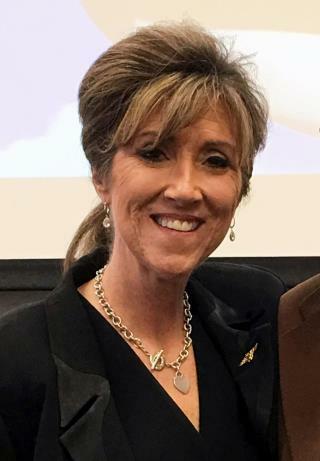 (Newser) – It's been nearly a month since a frightening Southwest flight that ended in the death of one passenger, and now the pilot with "nerves of steel" and her co-pilot are finally offering their takes. In a short clip promoting a longer 20/20 interview set to air Friday, pilot Tammie Jo Shults and Darren Ellisor, her co-pilot on April 17's Flight 1380 from New York City to Dallas, explain to ABC News' Martha Raddatz what happened during what the New York Post calls a "harrowing" 22 minutes, from initial explosion to setting down in Philly. It all started with a "large bang and a rapid decompression," Ellisor recalls, noting that "the aircraft yawed and banked to the left … a little over 40 degrees and we had a very severe vibration from the No. 1 engine that was shaking everything." I would have been using hand signs too, giving the middle finger salute to the pilot when she told me to put my hands back on the controls as I was hurriedly buckling on my parachute. She was one of the first female fighter pilots in the Navy. No wonder she had nerves of steel. I think they were damn lucky to have her as captain when this happened.